Home staging is well-established as an effective tool for selling a house quickly and at maximum price, but many sellers overlook this option or dismiss it as ‘too expensive’, particularly those with smaller or less-expensive homes. There is a notion that staging your home to sell is only beneficial for larger, more luxurious homes. However, smaller homes are often those that may have the most to gain from professional staging, and even just a staging consultation can be beneficial to those who are preparing a smaller home for sale. Why Should I Stage My Smaller Home? Don’t leave it to the buyer’s imagination. Home Stagers are trained to evaluate the flow of the space and have many furniture options to choose from to get just the right balance, a resource that homeowners typically do not have. As many buyers’ agents can attest, the idea of a “move-in ready home” is particularly desirable, especially in markets where starter homes are common or price points tend to be lower. First-time homebuyers may not have the capital to invest into making immediate home updates, so a home that needs little to no updating is really appealing. Plus, it’s much easier to add $5000 to a mortgage, where the cost will barely affect the monthly payment, than to pay that same amount out of pocket, so cash-strapped homebuyers will often prefer a higher sale price for an updated home to a lower-priced ‘fixer upper’. Isn’t staging only for vacant homes? Whether the house you’re selling is vacant or occupied, staging your home to sell using a Certified Home Stager can help you optimize the first impression that a buyer has, and provide a look and feel that will appeal to the largest segment of buyers in your market. Many people rely on their Realtor to make recommendations for staging a home to sell, but while Realtors do indeed have experience from a buyer perspective, they may not have the decorating expertise or arsenal of furniture and decor that helps maximize the buyer experience. Susan Brand, a Realtor with Keller Williams Realty Southwest, always recommends a staging consultation to sellers living in their home. In her view, Home Stagers are the best option to help sellers “get their homes decluttered, ready with some minor repairs and painting, and staged with their furniture to get their homes show ready. This always pays off. I remind them we are in a beauty contest and need to shine!” says Brand. For vacant homes, the stakes are equally high. “It is always better to show a home with furniture in it. If it is vacant, every little imperfection, like small dings in paint or woodwork, is amplified,” says Linda Lawrence, Broker-Associate at Leo Lawrence Real Estate. An experienced Home Stager should be able to work within your budget to get the best possible result when staging your home to sell. An in-home consultation costs as little as $200―a fraction of the sale price for any home. 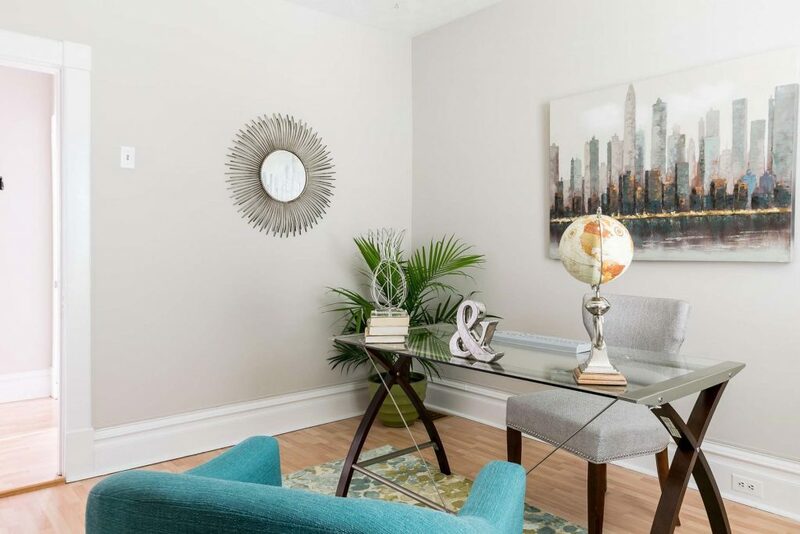 Staging that Sells provides a detailed checklist and specific suggestions after our detailed consultation, many of which you can implement yourself. It’s a great start toward making your home showcase-ready. Time is money, and reduced time on the market is money in your pocket. While your home is on the market, you are paying your mortgage, utilities, insurance, etc. Especially if your home is vacant, even an additional month on the market means a lot of out-of-pocket expenses. In one study, StagedHomes.com reviewed the sales history of 200 properties staged by its members. Homes listed for sale prior to staging averaged four and a half months on the market, but sold within just over a week after staging. Homes listed for sale after staging sold within 32 to 42 days! Is Home Staging a Good Investment? Will I Recoup the Money I Spend on Staging? If your home is one of the biggest investments you’ll ever make, selling that investment should be done with careful consideration and due diligence. Investing in home staging is one way to really increase the return on your investment in your home. Jennifer Wilton, a web developer and part-time Realtor, used Staging that Sells to prepare an 1,100 square foot, vacant investment property for sale in St. Louis earlier this year. Wilton spent about $1,900 to stage five rooms and make recommended paint and lighting changes. Want to see our staging in action? Visit our Gallery for plenty of before and after photos!